The first years of life lay the foundations for a child’s future development and learning. Many countries have increased their financial support for provision of early childhood education and care (ECEC) over the past years. More recently, the focus of debate has been shifting from expanding access to affordable ECEC to enhancing its quality. 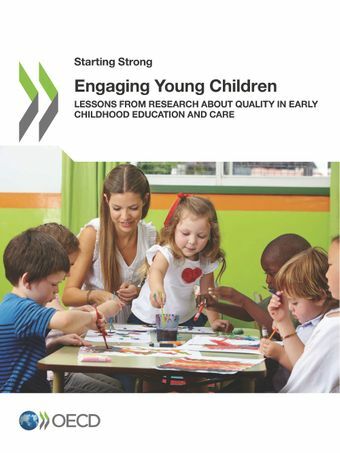 A growing body of research suggests that the magnitude of the benefits for children will depend on the level of quality of early childhood services, with especially strong evidence in the case of disadvantaged children.In light of budgetary constraints, policy makers require the latest knowledge base of the quality dimensions that are most important for ensuring children's development and early learning. However, current research is often narrow in focus or limited to programme-level or national-level conclusions. This book expands the knowledge base on this topic. It draws lessons from a cross-national literature review and meta-analysis of the relationship between early childhood education and care structure (e.g. child-staff ratios, staff training and qualifications), process quality (i.e. the quality of staff-child interactions and developmental activities), and links to child development and learning.This report concludes with key insights, as well as avenues for further research. It was co-funded by the European Union.